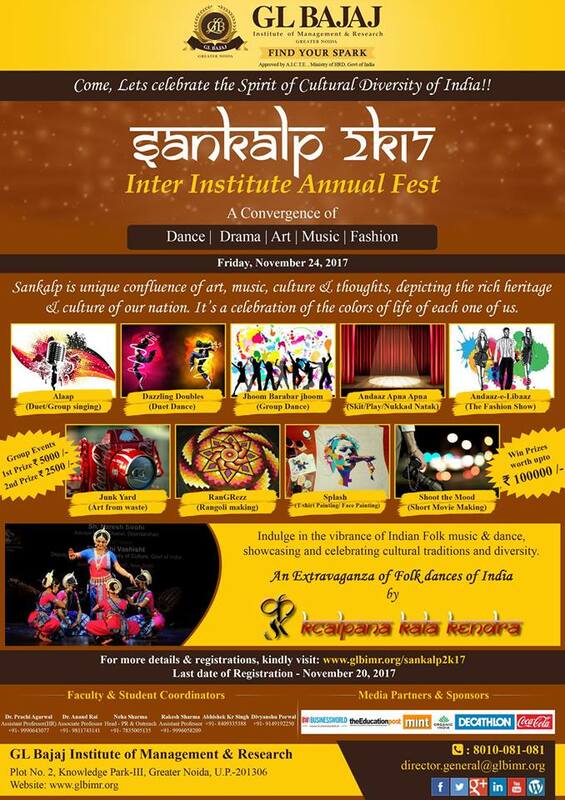 GLBIMR is pleased to announce, that the Inter Institute Annual Cultural Fest –Sankalp2K17 is being organized on November 24, 2017, Friday . 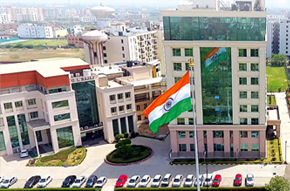 Sankalp is unique confluence of art, music, dance, drama & thoughts, depicting the rich heritage & culture of our nation. It’s a “celebration of the hues of life” of each one of us. Star Attraction of the event- An Extravaganza of ‘Folk dances of India’, by KCalpana Kala Kendra !! Indulge in the vibrance of Indian Folk music & dance, showcasing and celebrating cultural traditions and diversity.